I curated most of the best love songs for your Valentine's Day date. There's everybody on this rundown! 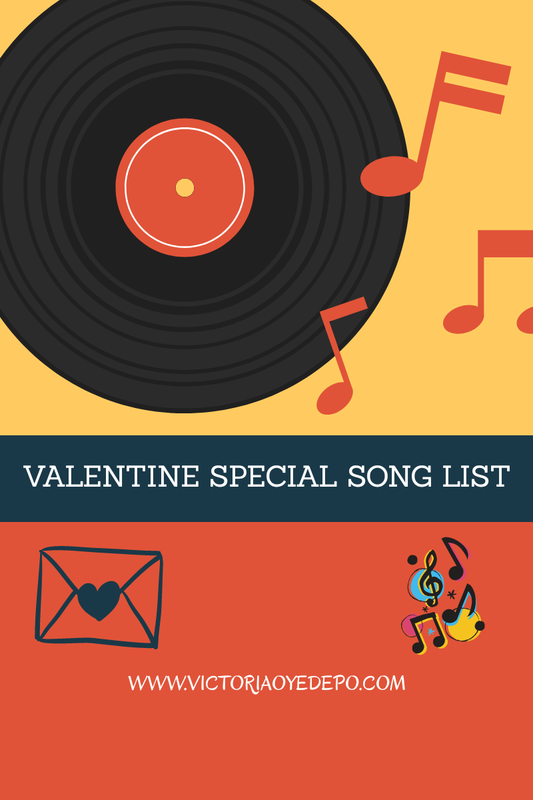 Regardless of whether you're into hip songs, pop, gospel or more you will undoubtedly locate a most loved song to share with your partner or squad this year. 1. Your love it makes me whole - Johnny Drille "My love"
2. As long as you're right here next to me, everything's gonna be alright - Bebe Rexha ft. Florida Georgia Line "Meant to be "
3. Every time you touch me I just melt away - Beyonce "Love on top"
5. You’re my end and my beginning - John Legend "All of me"
6. So promise me, you'll grow old with me - Adekunle Gold ft Simi "Promise"
7. The weight of the love that I have for you- Cil " Lover "
8. If I tell you say I dey with you through your ups and downs - Nosa "Always on my mind"
9. I'll think of you every step of the way - Whitney Houston "I will always love you"
11. Baby your smile’s in my mind and memory - Ed Sheeran "Thinking out loud"
12. Wish I could freeze this moment in a frame and stay like this - One Direction "Truly, Madly, Deeply"
13. I'm so happy I am in love with my best friend - Jason Myraz "Lucky"
14. So I’m gonna love you now like it’s all I have - John Legend "Love me now"
15. If perfect’s what you’re searching for then just stay the same - Bruno Mars "Just the way you are"
16. We're far from the shallow now - Lady Gaga and Bradley Cooper (song from A Star is Born) "Shallow"
17. I don't wanna be just a memory, baby, yeah - Lady Gaga and Bradley Cooper (song from A Star is Born) "Always remember us this way"
18. Forever and a while in my heart is where you'll stay - MAJOR '' Why I love you"
19. Thinking 'bout you and me, oh what a melody - JP Cooper "September Song"
20. No doubt in my mind where you belong - Adele "Make you feel my love"
21. Perfect always is Your unfailing love - CalledOutMusic "Love round"
You can also add yours in the comment section. ENJOY!! Great idea ��������. Below are some of my favorite love tunes , download and enjoy them too. Brown eyes by destiny child . Awww thank you for the extra playlist. Will surely play them.